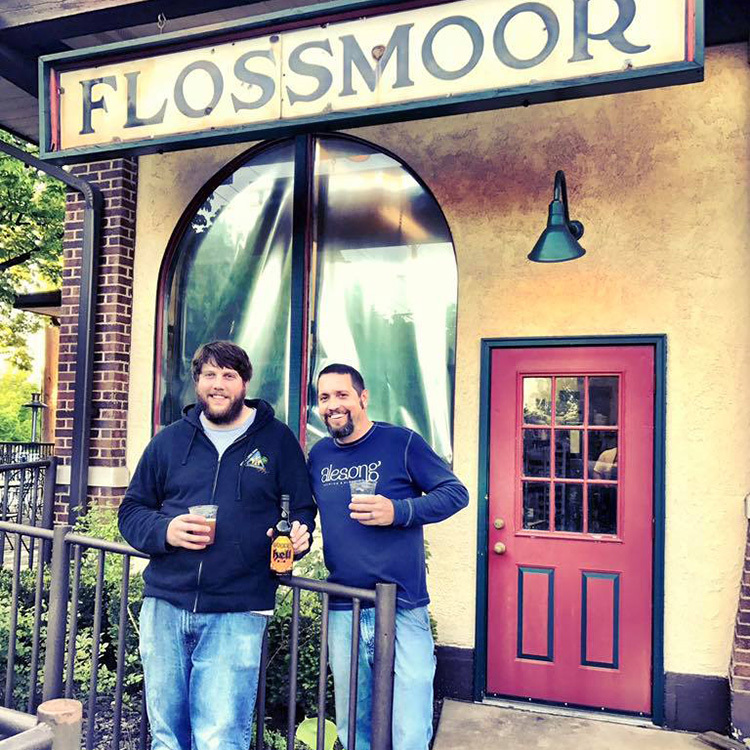 At first, Ryan Czaja didn’t want the head brewer job at Flossmoor Station Restaurant & Brewery. The unique challenges of preserving the former train station’s rich history while operating a modern-day brewery is a big responsibility, and Ryan thought he wasn’t ready. But Dean and Carolyn Armstrong, Flossmoor, Illinois, natives who invested in the crumbling station in 1996, thought otherwise. 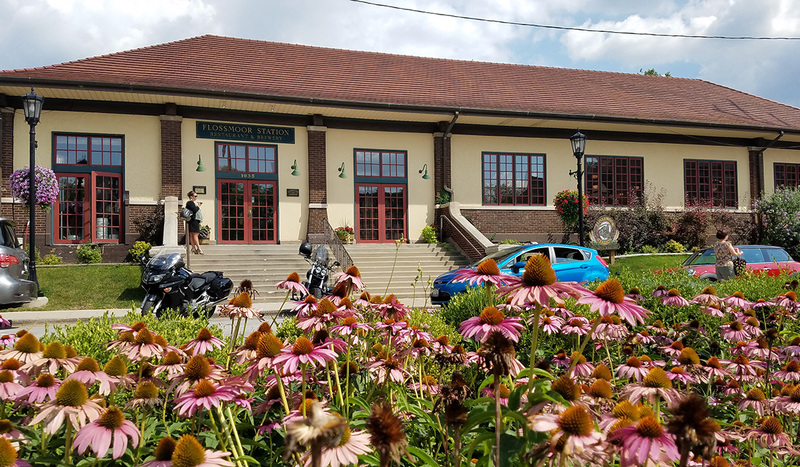 Constructed by the Illinois Central Railroad in 1906, the Flossmoor Station was a stop for Chicago residents looking for a getaway from the bustle of urban life. 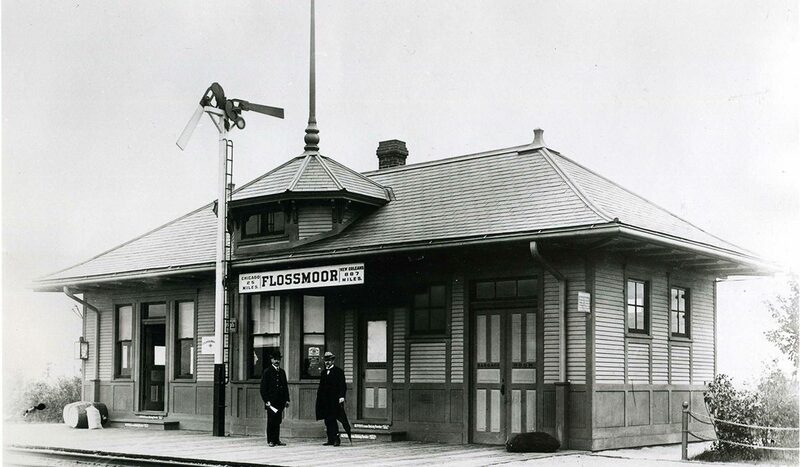 There were exactly six homes in Flossmoor when the station was built, and the railroad bought 160 acres of land there with plans for a golf course for those city-weary travelers. A century later, golf courses and the railway remain, and Flossmoor is one in a vast network of Chicago suburbs. But the station is something else. The Armstrongs bought the building and transformed it into the Flossmoor Station Restaurant & Brewery. Beer names, dishes and the decor all remind visitors of the station’s storied past, but it is clear that the building has carved out a new route. Today, the station’s history may bring a few people in the door, but it’s the beer — which has won nearly 80 brewing medals — and the highly regarded food that turned it into a modern-day success. And Ryan is hard at work keeping the track record. After homebrewing for some time, Ryan attended the famed Siebel Institute in Chicago and spent two years as an assistant brewer at Flossmoor Station. When the head brewer left in 2016, the Armstrongs offered Ryan the job. “I didn’t want it. I didn’t think I was nearly ready for that,” Ryan says. But after several interviews with outsiders, and some prodding, the Armstrongs persuaded Ryan to take the job, which he started in April 2016. The brewery has remained on track, in fact, it’s full-steam ahead. 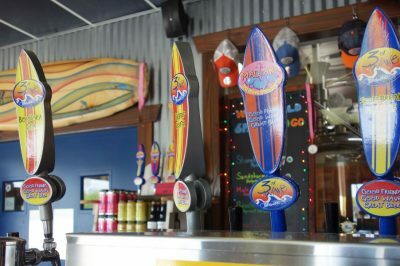 Themed restaurants are not often known for serving quality dishes, and Flossmoor certainly doesn’t shy away from its train motif — the beers have names like Zephyr Golden Lager, Pullman Brown Ale and Rail Hopper IPA. Nevertheless, one only needs to order from its Carving Board Charcuterie & Cheese menu that includes such items as Barber Cheddar English Vintage, a firm textured cheese with fruit and nut undertones, to know it’s not just a gimmick. And the plaques and medals hanging throughout the bar area serve as proof of its brewing prowess. For Ryan, it can be a challenge working in a building listed on the National Register of Historic Places. The station wasn’t exactly intended to house fermentors or store barrels. “Yeah, it’s pretty tight in here … but I think most brewers would love more space. I can’t complain,” Ryan laughs. While Flossmoor Station originally catered to Chicago’s elite, as a brewery, it draws a more diverse crowd. An eclectic menu best defines the beer selection at Flossmoor. There’s the rainbow of drinks: brown, black, red, golden lagers and ales, barleywines and easy-drinking sippers. 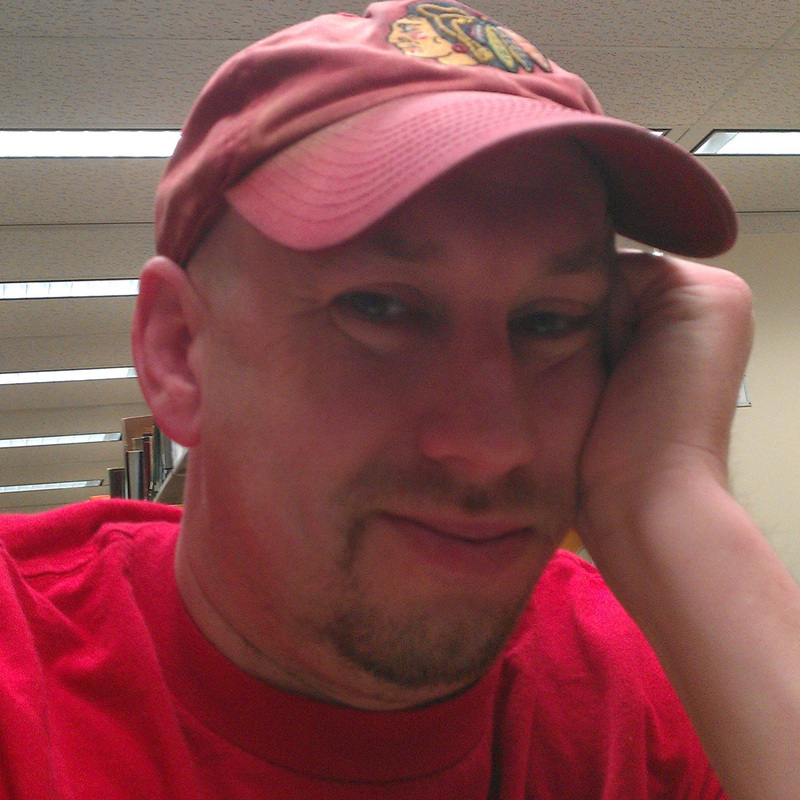 You name it, Flossmoor makes it. Like any brewer though, fidgeting with recipes and creating something new, like a seasonal or special release, gets Ryan’s engine running. Maybe he’s a perfectionist. Maybe he looks at the multitude of awards hanging on the walls and feels pressure. Whatever the reason, it doesn’t seem to phase Ryan. He just loves beer. It just so happens he wants to make great beer. That dedication to making great beer and food has kept Flossmoor Station — and its history — chugging along. Whether it’s offering a weekend getaway or pouring award-winning beers, perhaps Flossmoor Station will keep serving the community for another century. This Florida brewery started as a craft beer tourism company. 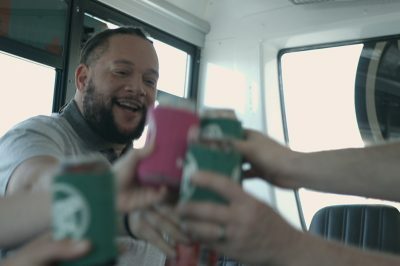 Now, Brew Bus Brewing has evolved and is making its own craft beer with a taproom and brewing operation in Tampa.